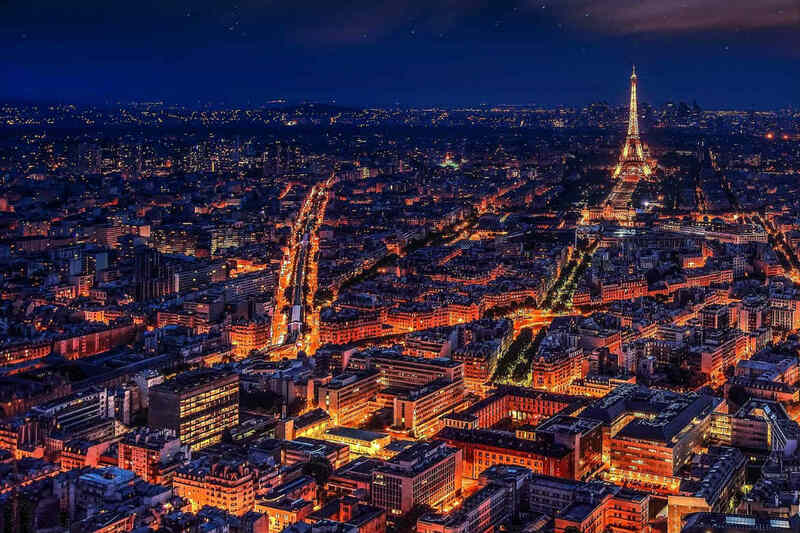 Planning a trip to the ‘City of Light’? You’ll discover so much to see and do right across the French capital, regardless of your interests and budget. Before you book your next holiday, why not check out our top 10 things to do in Paris and find some great ideas for your own Parisian escape? Best known as the home of Leonardo Da Vinci’s Mona Lisa, the Louvre is both the world’s largest art museum and one of Paris’ unmissable sights. Home to around 38,000 objects spanning from prehistoric times through to the 21st century, the museum’s collection is expansive and informative, allowing visitors to encounter artefacts and works of art originating from across the globe and throughout human history. 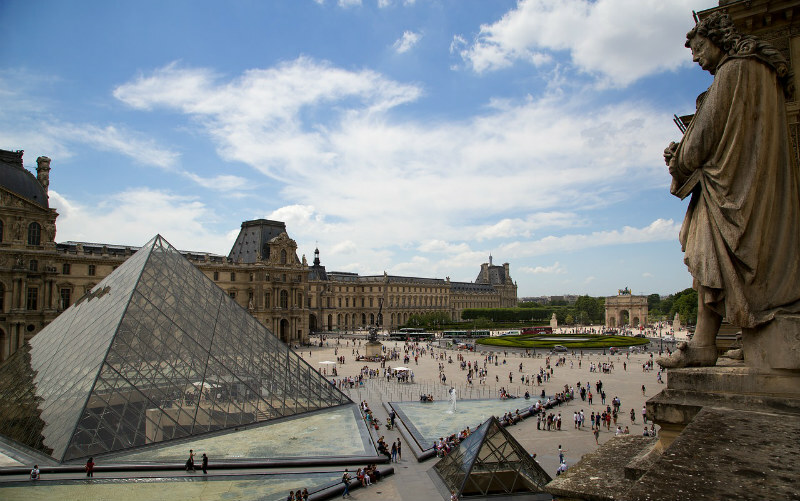 Also taking out the title of the world’s most visited art museum, the Louvre welcomes thousands of visitors each day, meaning it is best to arrive early and plan out which exhibitions top your must-see list. 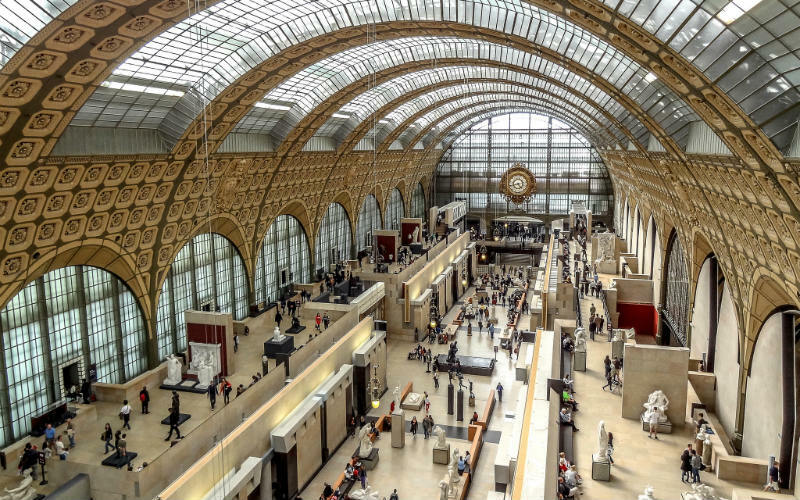 Situated on the Seine’s Left Bank in a grand train station building, the Musee d’Orsay showcases a large collection of Western art created from 1848 to 1914, including the world’s largest collection of Impressionist and post-Impressionist works. Featuring pieces by world-renowned artists such as Van Gogh, Monet, Renoir and Cézanne, the museum hosts a variety of exhibitions throughout the year, focusing on specific artists, artistic styles and thematic collections. A great place to encounter some of the world’s most important artworks in one spot, this national museum is certainly worth a visit while in Paris. Musee d’Orsay, Paris, France. Image Credit: Yann Caradec / CC by SA 2.0. 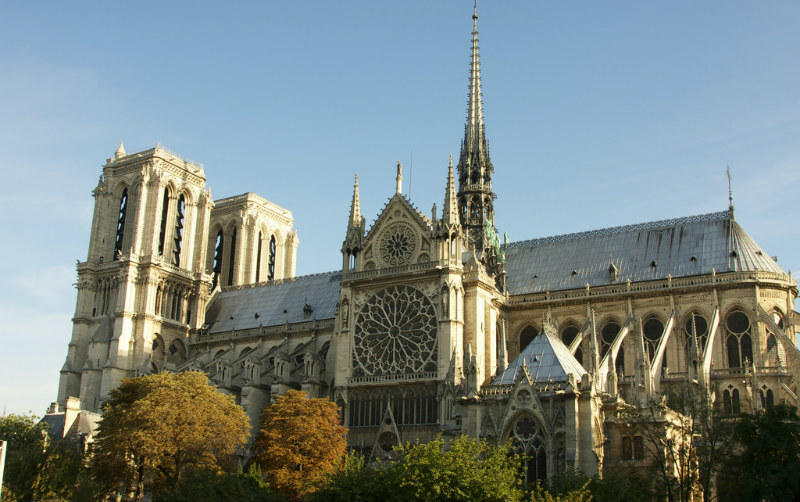 Constructed in stages from 1160 to 1345, the Notre-Dame Cathedral is not only one of the best known Catholic churches in the world, but also one of Paris’ most iconic buildings. Ornate, grand and a fine example of French Gothic architecture, the medieval cathedral, its stained glass windows and trademark gargoyles tower over the Seine and attract history buffs, Catholics and tourists from across the globe. Popularised by Victor Hugo’s The Hunchback of Notre-Dame and the Disney interpretation of the same name, the incredible scale and beauty of this spectacular church is best admired in person. Notre-Dame Cathedral, Paris, France. Image Credit: Julian Fong / CC by SA 2.0. 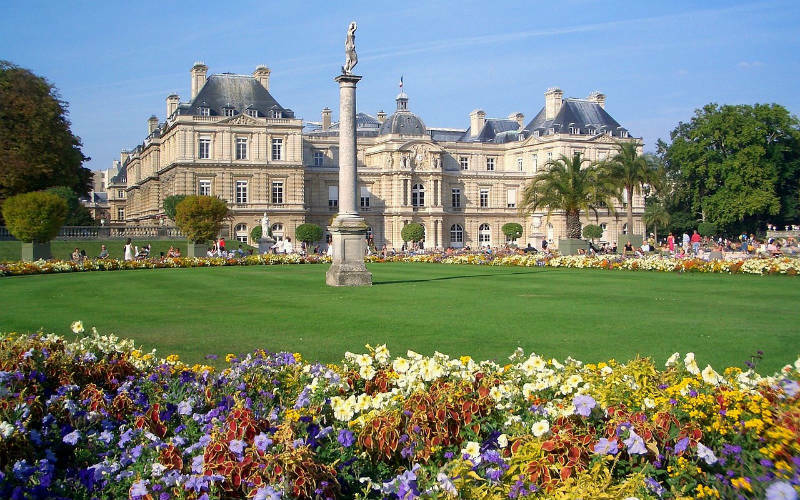 Known in French as the Jardin du Luxembourg, the Luxembourg Gardens offer a little slice of tranquillity in the heart of vibrant Paris. Constructed during the early 17th century for King Henry the 4th’s consort, Marie de’ Medici, in a similar style to her childhood gardens in Florence, Italy, the beautifully landscaped gardens offer the perfect spot for an afternoon stroll. Spanning across 23 hectares and encompassing manicured lawns, colourful flowerbeds, tennis courts, ornate sculptures and even children’s play areas, the grounds offer so much to see and discover. A true icon of the ‘City of Light’, the Eiffel Tower has stood tall above Paris since the late 19th century, when it was constructed as the entrance to the 1889 Exposition Universelle. A true engineering feat of the period, the tower has evolved over time to become one of the city’s most popular attractions, with visitors from across the globe flocking to soak up spectacular city views and admire the ingenuity employed in the tower’s construction. Step out on the glass observation deck of the first floor, dine at the second floor’s Jules Verne restaurant or ride the glass-walled lift to the top and take some time out to admire the beauty of Paris and the surrounding region. 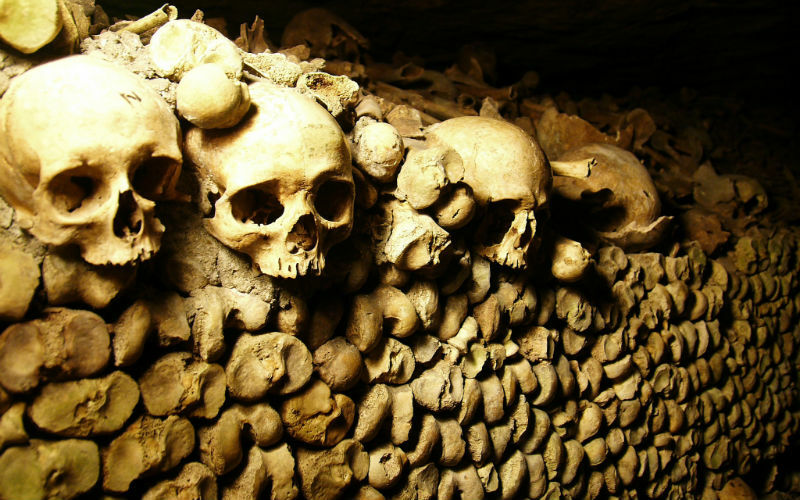 While Paris is perhaps best known for its innate sense of style and glamour, the Catacombs of Paris showcases a more macabre side of the city’s history. As Paris’ cemeteries began to overflow in the 18th century, officials looked below the surface of the city to a network of unused mining tunnels for a solution. Over the course of two years, the bones of more than 6 million people were transferred from the city’s cemeteries into the subterranean tunnels, where they have remained to this day. Visitors are able tour a portion of the eerie Catacombs and encounter one of Paris’ more unusual attractions. Catacombs of Paris, Paris, France. Image Credit: Passion Leica / CC by SA 2.0. No visit to Paris, one of the world’s fashion hubs, would be complete without a spot of shopping. Throughout the city and its districts, you’ll find a variety of retailers, spanning from high end boutiques and designer fashion houses through to markets and budget friendly international chains. 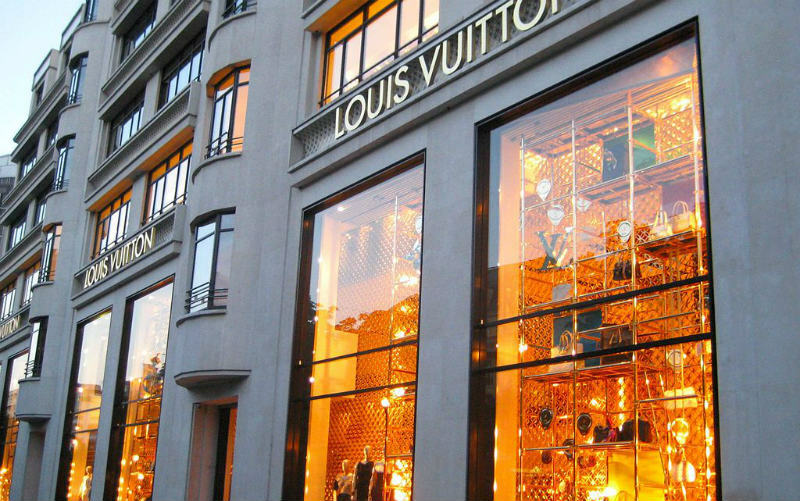 If you’re looking to browse the latest collections of Europe’s big name luxury brands, such as Louis Vuitton and Hugo Boss, head to Champs-Elysees or Rue Saint-Honoré, or, if you’re looking for new threads at a more affordable price, you should stop by Rue du Commerce or the Marais. Louis Vuitton, Champs-Elysées, Paris, France. Image Credit: Gavin Gilmour / CC by SA 2.0. 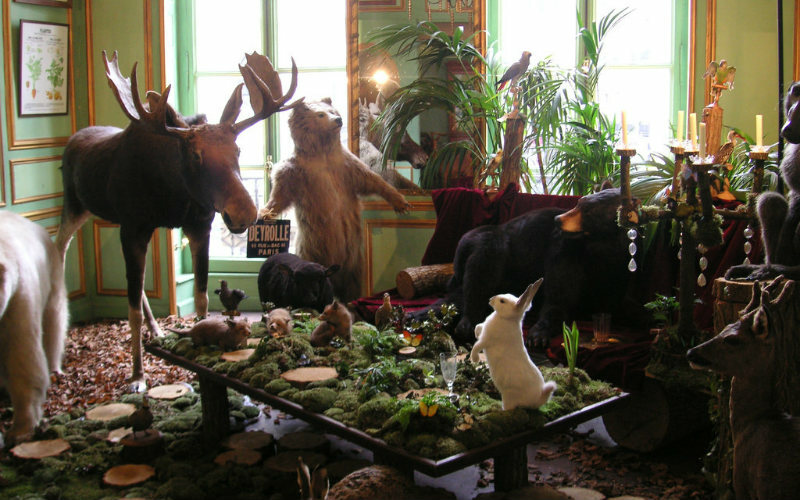 Another of Paris’ more offbeat attractions, Deyrolle, located on Rue de Bac, is home to an expansive collection of taxidermied animals and natural curiosities. Operating since 1831, the store features a variety of species of birds, mammals and other creatures from across the globe, with all but a small fraction of specimens having died from natural causes. Expertly preserved and artfully displayed, Deyrolle is worth a visit to admire this fascinating artform and the work of its incredibly skilled craftsmen. Deyrolle, Paris, France. Image Credit: saragoldsmith / CC by 2.0. 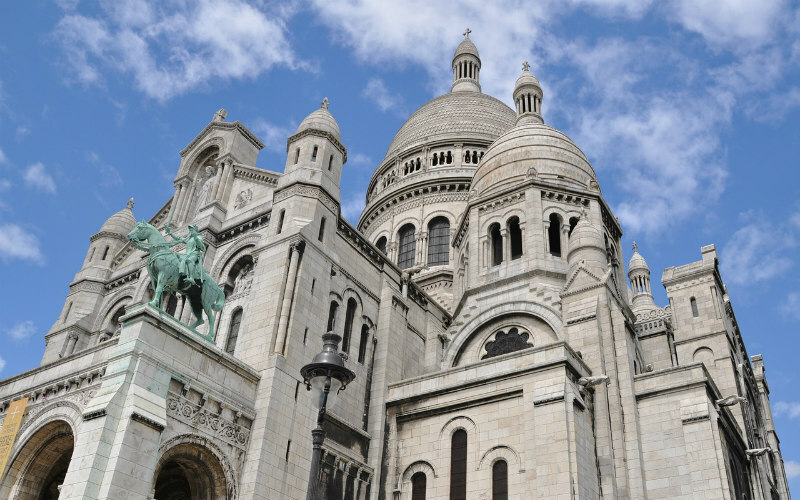 Situated at the summit of Montmartre, the Sacré-Cœur, built at the turn of the 20th century, is one of the city’s finest examples of architecture. Constructed in a Romano-Byzantine style from white limestone, the imposing building and its domed roofs stand tall above the northern side of central Paris. Positioned on top of the city’s highest point, no visit to the basilica would be complete without taking the stairs to the top of the main dome, where visitors can enjoy fantastic panoramic views of the Eiffel Tower, the Panthéon and beyond. Afterwards, take some time out to discover more of what the Montmartre district has offer, from the skilled caricature artists based in Place du Tertre through to the world renowned Moulin Rouge and the souvenir-filled stalls of Rue de Steinkerque. 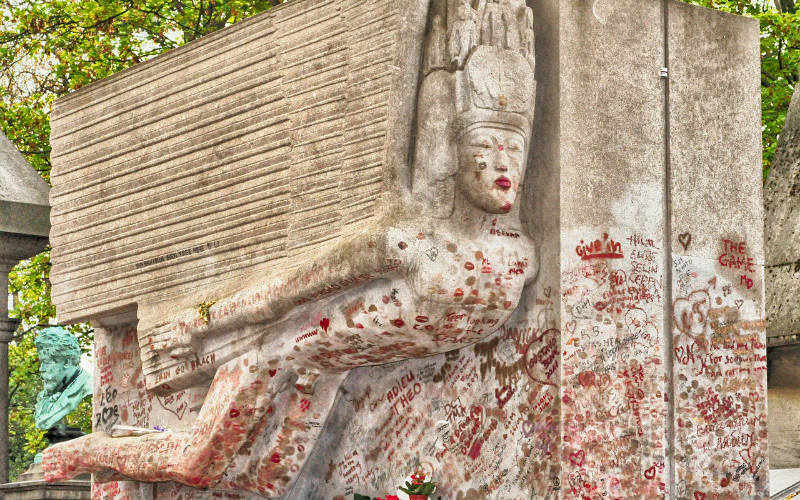 Although your first instinct when visiting one of Europe’s great cities may not be to visit its cemeteries, Paris’ Pere-Lachaise Cemetery has evolved over time to become the most visited cemetery in the world and an attraction in its own right. The final resting place of musician Chopin, The Doors frontman Jim Morrison, author Oscar Wilde, performer Edith Piaf and a host of other famed politicians, artists and all-round interesting people, millions of people each year take time out to wander through the grounds, admire the ornate tombstones and memorial statues, and pay respect to their famous idols. Oscar Wilde’s tombstone, Pere-Lachaise Cemetery, Paris, France. Ready to discover what makes Paris such a special city? 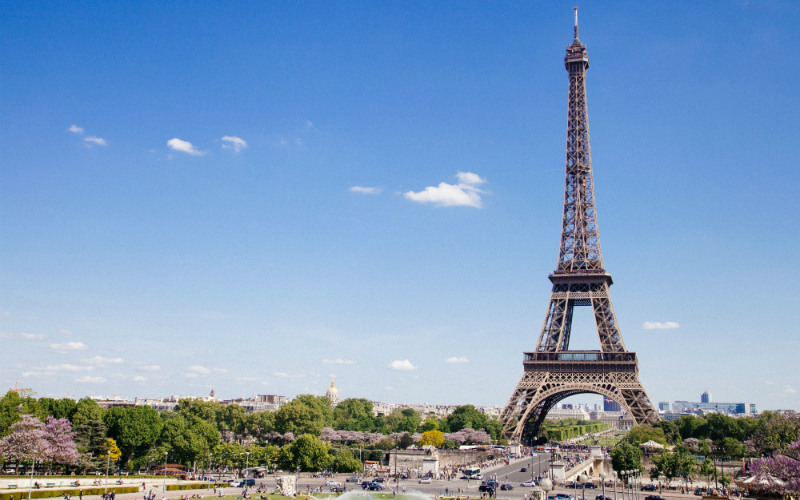 Find and compare cheap flights to Paris with Webjet today!